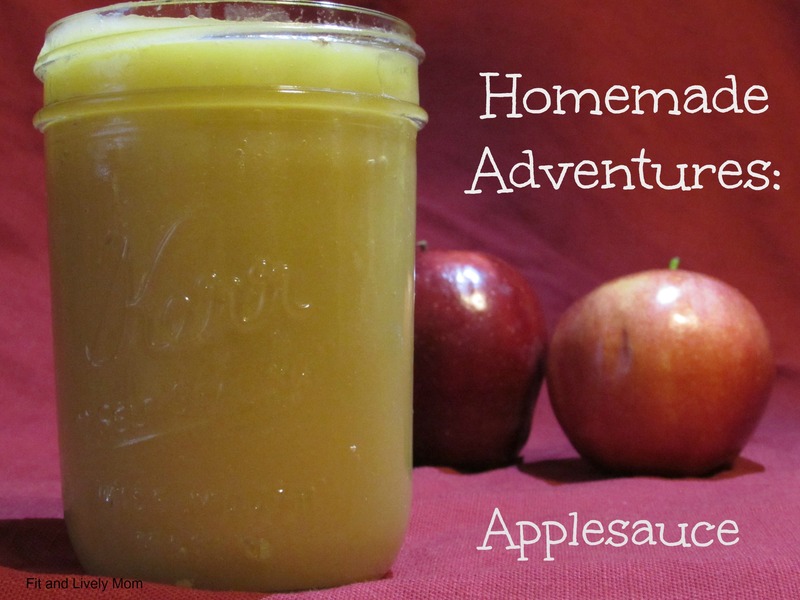 After searching for something new to try making at home, I had a strange thought: Applesauce. I’ve been using it some of my cooking, and thought I would try giving it a whirl. The question: Where to begin? I did some online searching and found several different recipes, but they all had added sugar, cinnamon, vanilla, etc, but I was looking for a simple way of making unsweetened applesauce. It seemed that finding a simple applesauce recipe wouldn’t be possible. However, I found my answer with – of all places – a science experiment! Sid the Science Kid had an experiment that used apples to explain how heat changes things. At the end, the kids made applesauce and discussed their findings. I decided to take the instructions and use it to make my own recipe. For my applesauce, I like to use Gala apples. They’re more on the sweet side, so there’s really no need to add sugar in my opinion. 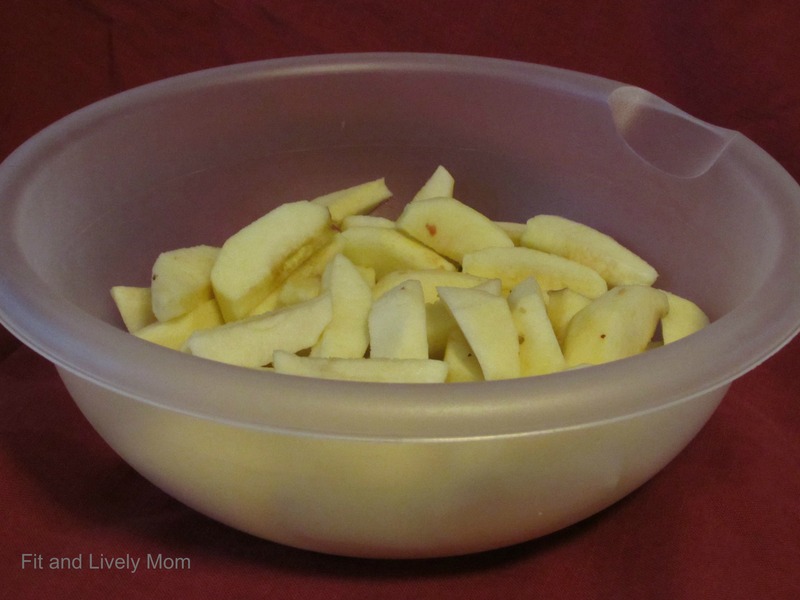 I peeled all the apples first, then pushed them through my apple slicer. I thought the slices were a little big, so I cut each slice up into 3 additional pieces and put them all together in a plastic bowl. 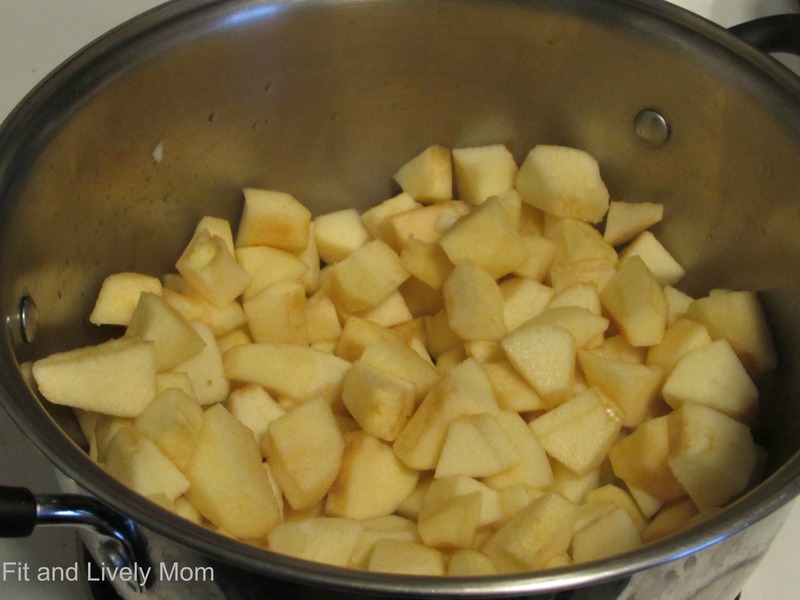 I transferred the apples to my pot, added the 1/2 cup of water, and turned the stove to about medium-high. 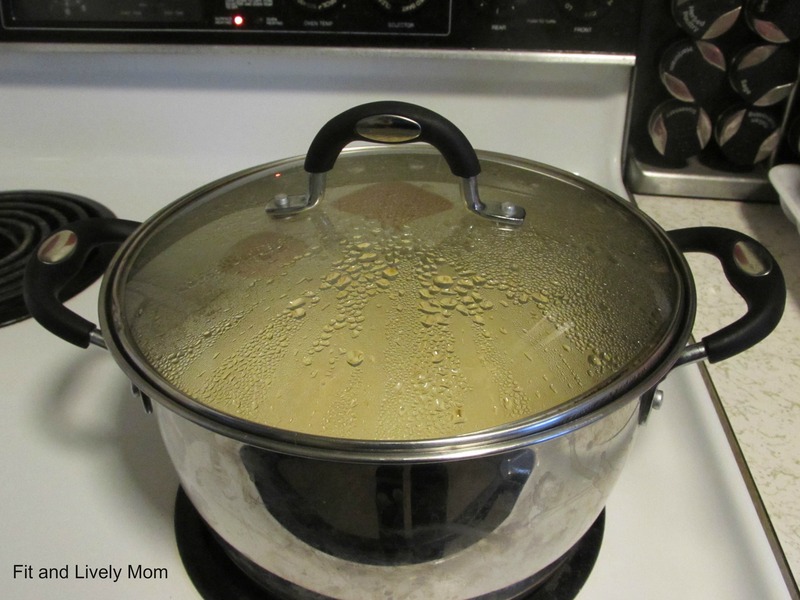 Once the apples started to steam, I put a lid on to help hold the moisture in and soften the apples. I let them boil for about 10-15 minutes on medium high, checking them occasionally to make sure they weren’t burning to the bottom of the pan. 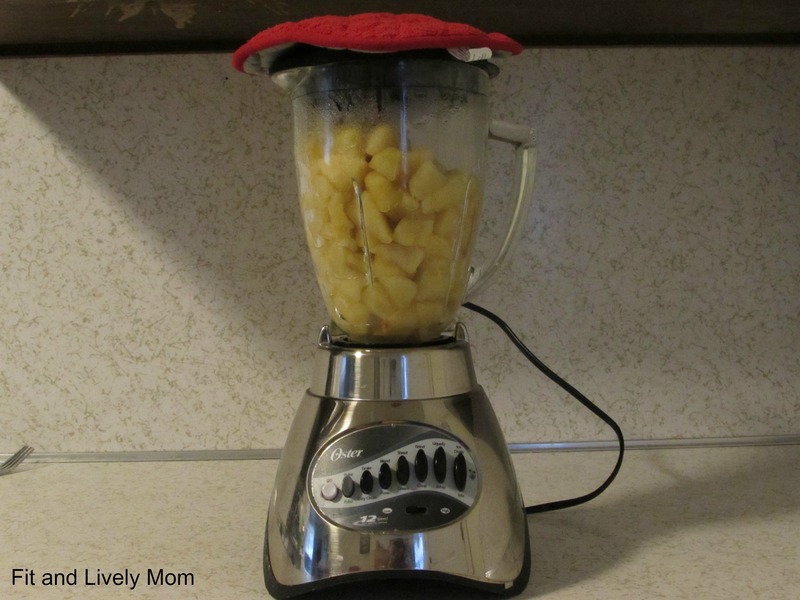 Here is where I differed again from the “experiment.” Instead of mashing the apples with my masher, I transferred the apples to my blender! 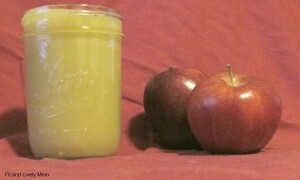 Now, I don’t have the best blender, so it did take a little time to blend all of the apples. However, I soon I had a nice pitcher full of smooth, naturally sweet applesauce! It was poured into a glass mason jar and put in the fridge to be used with my cooking (and a little extra was given to the kids as a snack!). There are so many reasons I love this “experiment.” You could watch the video with your kids and have a discussion about irreversible change. Or you may have just found a simple cooking activity to do with your kids. Children can help mash the soft apples, or even help push the buttons on the blender. No matter which way I choose to do this in the future, I now know how to make some natural, unsweetened, delicious applesauce!